Valentine’s Day has become sweeter than Halloween – and yes, I mean by the candy. My kids come home from school with a boatload of candy. This year I thought it would be nice to pass out an alternative to candy! 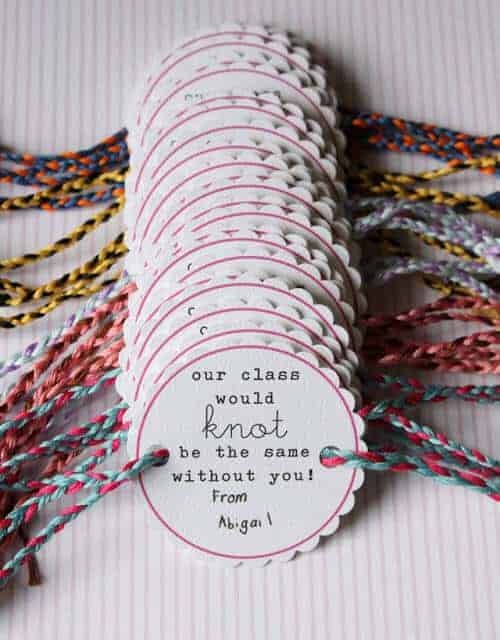 So, here are some great Valentine’s Day class gift ideas for you!! This was one of my first Pinterest projects. My friend Maria and I made these for our kids class. They were very easy and super cute. All you need is lots and lots of crayons (this is a great way to use all of those broken crayons) and a silicon heart mold (I got mine here) See the full instructions for the DIY HEART CRAYONS HERE!! Warming – your house will stink AND you will never want to use this tray for anything again other than heart crayons! 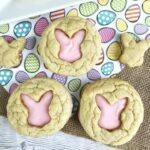 These are really cute and easy to make! This could also be a fun activity for the classroom! 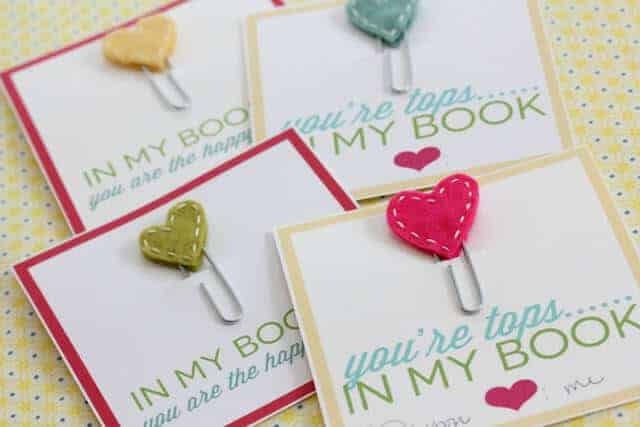 Super cute and simple to do! No craftiness required!!! Halfway through the school year there are a lot of lost and broken rulers!!! 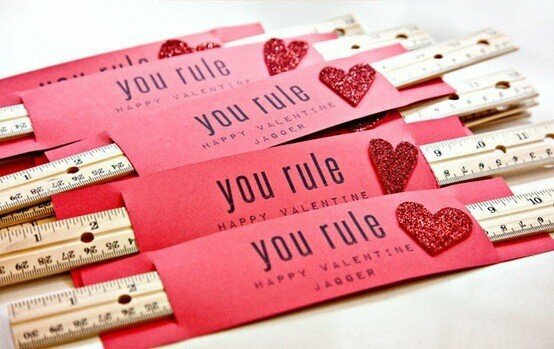 I am always looking for other non food related Valentine’s ideas. If you have any please, please share in the comments below!!! I did that one last year (without sugar). Last year I found a printable online that read “Have a “Kool” Valentine’s Day”. You attach a package of kool-aid and add a straw. I did this for my son’s class (minus the straw). Kool-aid is a better option than soda, in my opinion and I used the red flavors of kool-aid (cherry, strawberry, fruit punch). I thought they turned out cute and it was a non candy item. Kool aid with high fructose corn syrup and artificial food dyes is NO different then soda. Lol do you read food labels?? 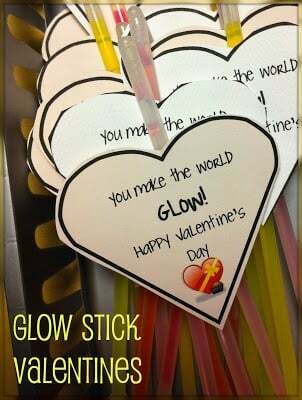 Hi Jenn – Thank you for including the glow stick valentines in your round up! Our grandchild is in elementary school & has life-threatening anaphylaxis food allergies. Thank you so much for posting such adorable food alternative Valentine gifts! I hope more parents will consider this option. My kids have nut allergies, and we are giving out colored glue sticks this year, should be cute! Valentines is very special in my life, will celebrate it with tot most enjoyment. I’m thinking about making the crayons, but, what kind of tray did you use? is it silicone? I loves these crayon hearts. I am going to make them for my daughter’s kindergarten class. I am wondering what glue product you used to adhere the crayon to the tag. Thanks! Hi Rhonda – When I actually made these, I put them in little cellophane bags and wrapped them with a cute red and heart string. However, I think you could use those little glue tabs or they may be called glue dots – we use these all of the time and they work GREAT! I’ve made these before and adhered them with a foam tape because the back tends to indent just a little compared to the rim of the crayon. We tried glue dots but they just weren’t deep enough. We have received those crayon hearts before, and they’re useless. My kids want to color pictures, not scribble random shades of brown with an awkwardly large chunk of wax. I understand that they’re fun for you to make, but don’t kid yourself with these inking that you’re making a great gift. That was a little uncalled for don’t you think? The melted together colors of these crayons are great for crayon rubbings, writing multi-colored notes. Be creative! The title is “Non-Candy Valentine’s Day Class Gift Ideas” you’re lucky your kids received something someone made the TIME to make. I certainly wouldn’t be complaining!! HI Anon – I totally agree…homemade gifts are always my favorites. 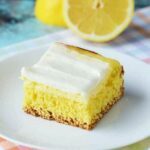 However, more and more schools are not allowing homemade or even store bought food brought into the schools because of food allergies – these are just some alternatives… but I will always take homemade any day of the week!